Development partners have also stressed support and reiterate the need for Federal Government leadership and early engagement of national stakeholders and development partners. “Congratulations to the Federal Government of Somalia and to the Somali people for the early launch of SDGs while many developed countries are still behind” said the Honourable Ambassador of Sweden, Mr. Mikael Lindvall. The event was widely welcomed by all participants and everyone supported the localization of SDGs for better implementation and monitoring. Strategic Objective: Achieve a stable and peaceful federal Somalia through inclusive political processes. UNDP’s approach to support inclusive politics in Somalia is through three strategic areas: state building, support to constitution-making, and support to elections. New programmes on constitutional process, electoral support and parliament process, will build on these key themes. “There are 3 classical powers. Each of them are well defined in the constitution. There is the legislative parliament and there is the executive with the president. And then you have the judiciary. The result of their work must coincide and be the elements that take the country forward.” - Mohammed Osman Jawari Speaker of the Federal Parliament of Somalia. 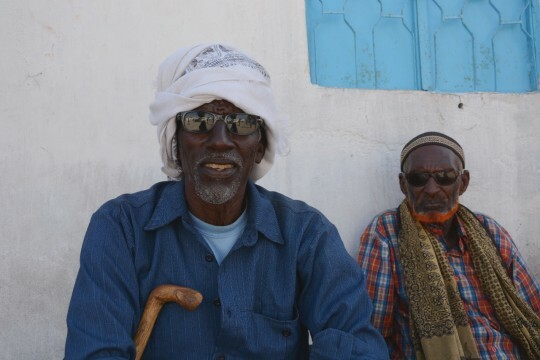 With UNDP’s strategic and technical support, fundamental shifts in the way that government works will encourage growth and stability in Somali institutions to deliver better security, services and opportunities for all. In 2013, UNDP helped Parliament initiate law-making and oversight functions. Parliament began to effectively engage in the federal budget cycle, and exerting oversight of key ministries. Support was also provided to set legislative priorities. The Parliament Constitutional Oversight Committee was launched in 2013 with participation from civil society, youth and women’s groups and the media and a law establishing the Constitutional Review and Implementation Commission was passed in July. Only 38 out of the 275 Members of Parliament (MPs) in the Federal Government of Somalia are women. In Puntland, there are only 2 women of 66 MPs sitting in legislature. 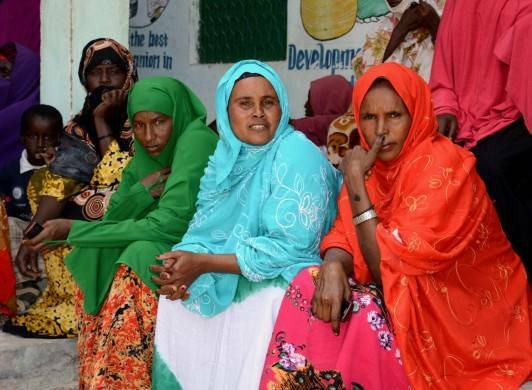 In Somaliland, only 2 of 82 MPs are women. To combat this reality and set the stage for a more inclusive elected body, UNDP supported coordination on gender mainstreaming in government in each of Somalia’s regions. Efforts to promote women’s political participation increased nationwide through workshops, consultation and advocacy forums. At the federal level, a dedicated project to support female MPs to become effective members of the legislature is being implemented through a national non-governmental organization. UNDP provides female MPs and civil society organizations with training on gender sensitive legislation and how to effectively influence the legislative process. Through targeted community security activities, UNDP supports an empowered citizenry which can take their needs and concerns to authorities. As part of a joint Youth for Change Joint Initiative with ILO and UNICEF, UNDP’s Community Security Project social rehabilitation activities focus on holistic change in the lives of young adults – this includes a change of attitude. Through non-formal education tools and trainings on basic social skills, peacebuilding, rule of law, civic education, ethics, sports, arts and drama, community volunteer activities and literacy and numeracy classes, participants are enabled to explore their options and lead to economic rehabilitation and skills development. Strategic Objective: Establish unified, capable, accountable and rights based Somali federal security institutions providing basic safety and security for its citizens. UNDP recognizes the importance of a well-trained and equipped police force to protect civilians and promote peace. Our programmes support a police force which is more responsive to the security needs of communities. 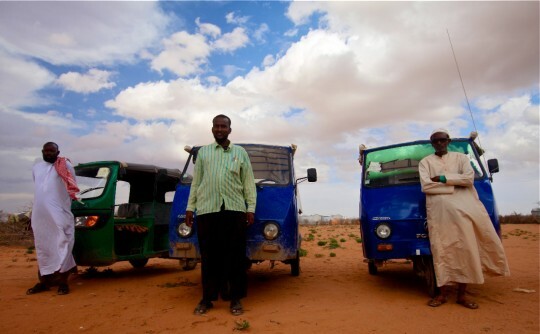 Community-based policing pilot projects are increasing trusts in the protection services in Somalia society. 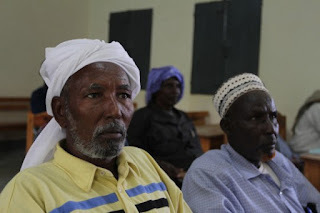 According to a survey by Observatory of Conflict and Violence Prevention in Burao alone, the percentage of citizens who trust the police increased from 47% in 2011 to 66% in 2013. With support from Denmark, Japan, the European Commission, DFID, Denmark, Counter Piracy Trust Fund, UNDP helps Somali law enforcement institutions deliver better policing services through recruitment, international standard law enforcement training curriculum that stresses human rights and gender issues, improved management capacities, internal governance and oversight. Strategies have been designed to improve access to inclusive, equitable and accountable forms of security and protection for all Somalis. There is a focus on capacity development for key institutions that deliver civilian policing. This includes public accountability and parliamentary oversight mechanisms. Enhanced capacity and development of staff through UNDP trainings, workshops and joint working group mechanisms is an ongoing process. Individual capacity development for police officers has been complemented with support for policy and strategy development, infrastructure support and provision of operational support and equipment throughout the country. 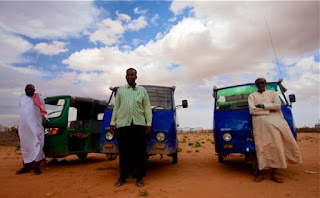 By the end of 2013, UNDP cumulatively supported the training of 14,500 civilian police officers — including 5,800 in south central Somalia, 5,000 in Somaliland and 3,700 in Puntland. In 2013, UNDP focused on strengthening the institutional and technical capacity of the Somaliland Police Force to promote human rights and introduce a sharper focus on gender equality. The Action Plan for Gender Responsive Policing and police response for sexual and gender-based violence was developed and adopted by the Police Commissioner. The recruitment and training of 150 qualified female police officers into the Somaliland Police Force shows the growing commitment within the armed forces to increase the gender balance. 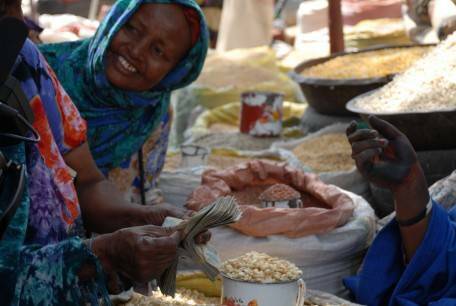 Supporting robust and reliable institutions on the ground is key to UNDP’s work. 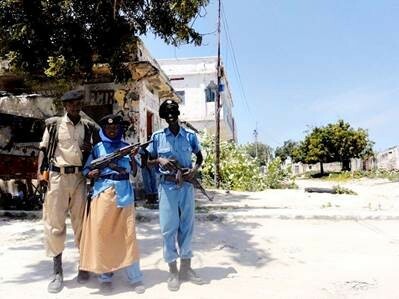 UNDP is engaging the Ministry of National Security, responsible for the SPF in south central Somalia to support the police in setting up a police legal framework for a new Police Act that will result in restructuring the police organization and developing the individual capacity of police personal. Construction of police infrastructure, including local police stations, was ongoing in 2013, to help build localized security forces. Building infrastructure builds the capacity of the police force to help them do their jobs professionally and in line with international standards. UNDP also works with national and international partners to conduct specialised training – based on need assessments. UNDP provided training resources to officers attending police academies in Somaliland and Puntland. Feedback showed they were encouraged and inspired by their training, and currently use the lessons on human rights and the importance of civilian accountability in their everyday work. A strong police force must emphasize community security and have linkages with those mechanisms. This means empowering communities to use tools to target their unique challenges and environments. Strategic Objective: Establish independent and accountable justice institutions capable of addressing the justice needs of the people of Somalia by delivering justice for all. Access to a functioning and fair legal system is one of the pillars of sustainable peace and development. 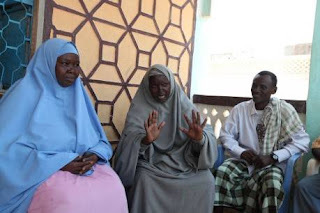 To improve credibility, efficacy and independence of the judicial system, UNDP and local partners have established and strengthened access to justice and legal empowerment for vulnerable groups including women and IDPs. 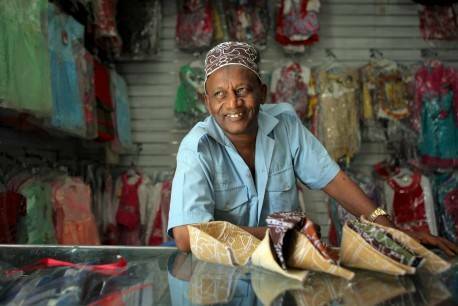 Strategic Objective: Revitalize and expand the Somali economy with a focus on livelihood enhancement, employment generation, and broad-based inclusive growth.Somalia remains one of the poorest countries in the world with a per capita income of $226. To reverse this reality, Somalia must build an economy that generates opportunities for investment, entrepreneurship, skills development, job creation and sustainable livelihoods. Strategic Objective: Increase the delivery of equitable, affordable, and sustainable services that promote national peace and reconciliation amongst Somalia’s regions and citizens and enhance transparent and accountable revenue generation and equitable distribution and sharing of public resources. JPLG II builds on the successes of the first of the joint programme phase (2008-2012) and seeks to support Somalia to expand decentralized service delivery through 1) strengthening policy and legislative frameworks; 2) developing capacity of local government and; 3) improving decentralized service delivery. JPLG II is in line with the New Deal developmentcooperation framework as well as the United Nations’ Integrated Strategic Framework for Somalia (2014). The joint programme aligns its support to the Somali Compact, including the Special Arrangement for Somaliland, and has a special focus on PSG 1, 4 and 5. The Somali Compact lays out key 5 cross-cutting issues: gender, capacity development, bringing tangible results to people, respect of human rights, and external relations.Throughout all of its projects, UNDP supports the achievement of gender equality and women’s empowerment in all development results. Further, understanding that HIV and AIDS are key issues in the region, UNDP is raising awareness at the institutional and community level to mitigate its impact and support the basic human rights of People Living with HIV (PLHIV).